We used to saunter into the grocery store and gaze longingly at the pre-made roasted chickens, wistfully thinking of things we could do with the golden fowl if only we didn't already have dinner plans. You see, we used to grab them only if we were having company or knew we would need a whole chicken for that very evening. 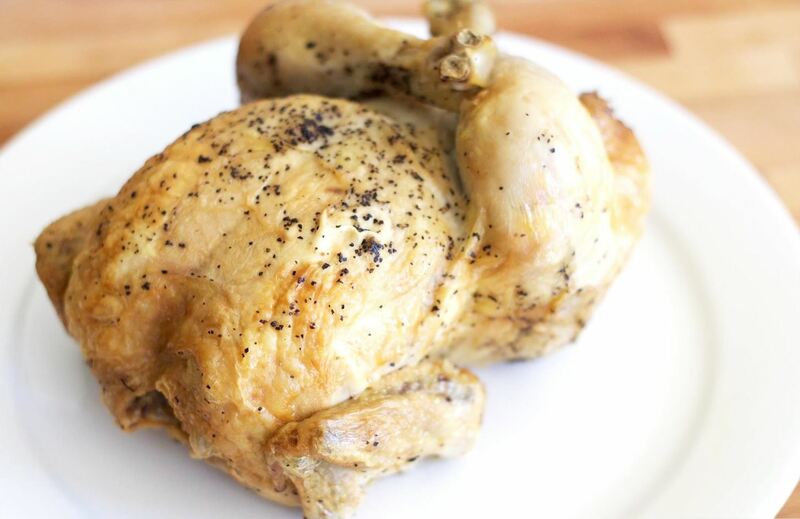 But the true beauty of a rotisserie chicken lies in the fact that you can pick one up anytime and have convenient and inexpensive meals in place for several nights. We pick up our chicken on Mondays when it's on sale at our local Whole Foods. Then, over the next three days, we prepare a variety of chicken-centric feasts. And out of all the meals we've prepared, these are our 3 favorites using 1 chicken for 2 people. How's that for a magical culinary equation? 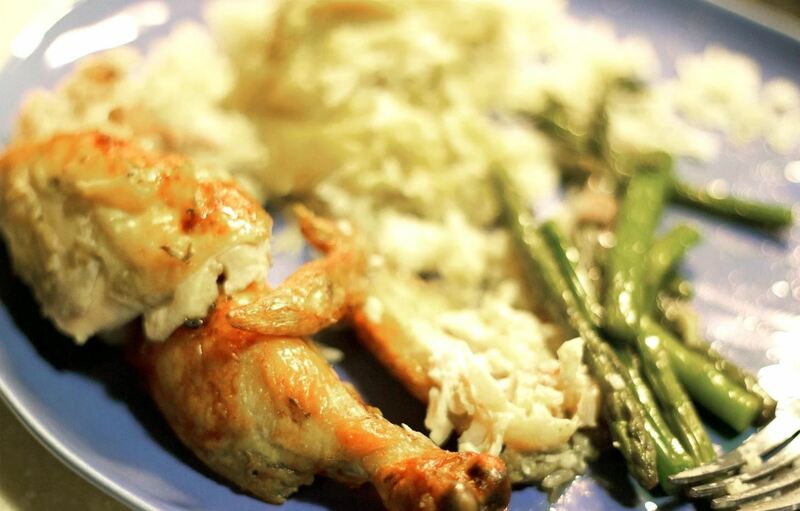 The first night we bring the chicken home, we eat it warm and have a simple, classic roast chicken meal. We call this our "free-for-all-chicken" night because we just eat whatever part of the chicken sounds best that night. We make mashed potatoes, throw some veggies into the oven to roast (like carrots or asparagus), and in 30 minutes we have a gourmet-style meal ready to go. The next night, we use the dark meat and the back meat to make a simple chicken chili. 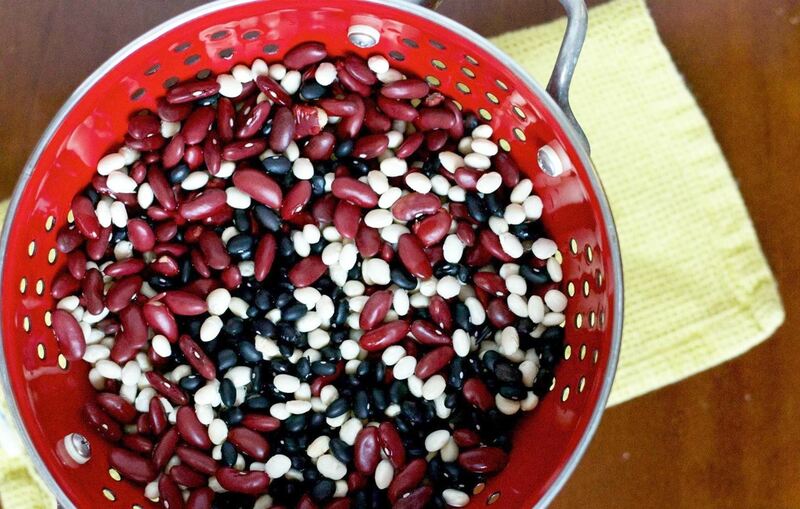 We grab some chicken broth we have on hand, get some white beans and some kidney beans, and add some typical chili spices to make a basic yet complex-flavored chili. We also set aside some bread for dipping into the spicy bowl of poultry goodness when it's done. 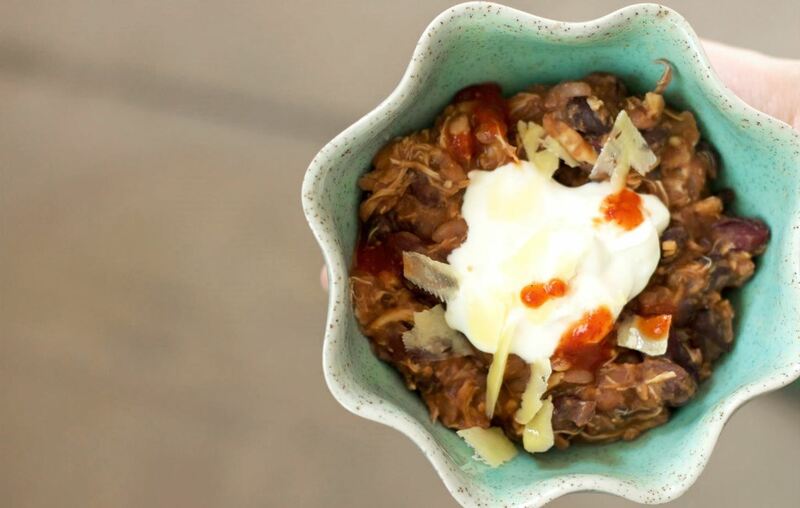 Throw the broth, beans, and spices in the slow cooker before you leave in the morning, and when you get home, add the chicken and let it simmer for bit. The flavors will be simple yet extraordinary. Don't forget to dip that bread to soak up every delicious drop of sauce! On the final day of utilizing our leftover rotisserie chicken, we use the remaining thigh meat and breasts for chicken tacos. We either buy pre-made shells or make our own— it all depends on how much time we've got. Tacos, when stuffed with other ingredients like lettuce, tomatoes, and avocado, can be a great way to stretch a small amount of meat. 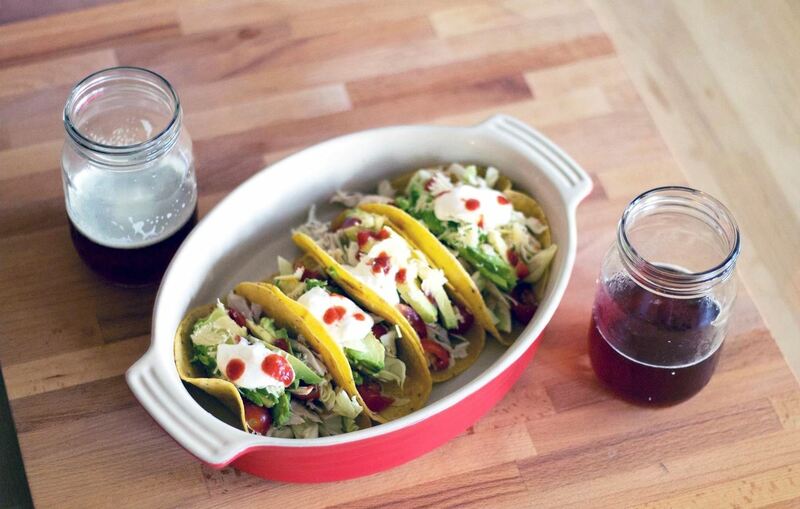 An easy meal on "Taco Tuesday" (or "Taco Any Day," really) is always really good —and a cold beer to wash it down doesn't hurt, either. You could also use the chicken to make chicken salad or chicken enchiladas... the poultry possibilities are endless. These are just a few suggestions to get you started, but really the list goes on and on. With these three simple meal ideas, may you be inspired to go forth and see the beauty that is a pre-made rotisserie chicken.